For the second time in three years, the Iditarod Trail Sled Dog Race will move its official start from Willow to Fairbanks due to poor trail conditions that race officials determined unsafe. The Iditarod Trail Committee board of directors made the decision to relocate the race to Interior Alaska in a quick, unanimous vote Friday after a two-hour-long executive session. The ceremonial start will remain in Anchorage on March 4 when mushers and their sled dog teams snake 11 miles through the city. 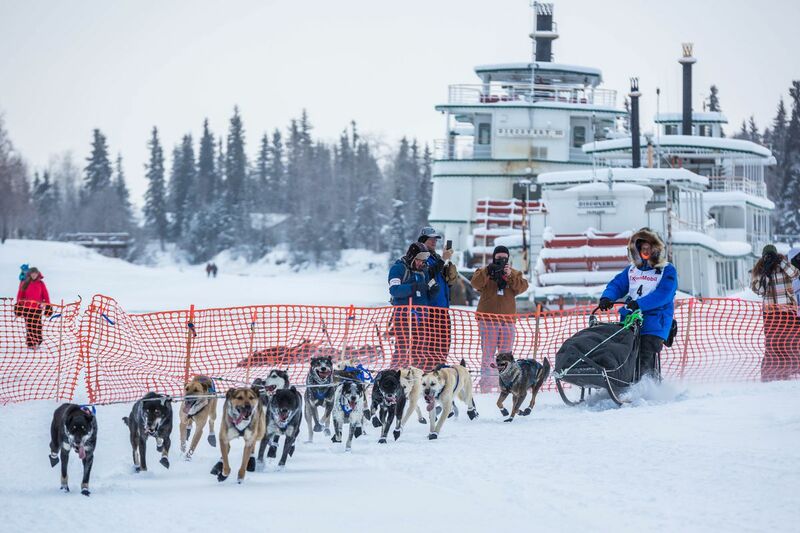 They will then travel about 350 miles north to Fairbanks for the official race start two days later, at 10 a.m. Monday, March 6. 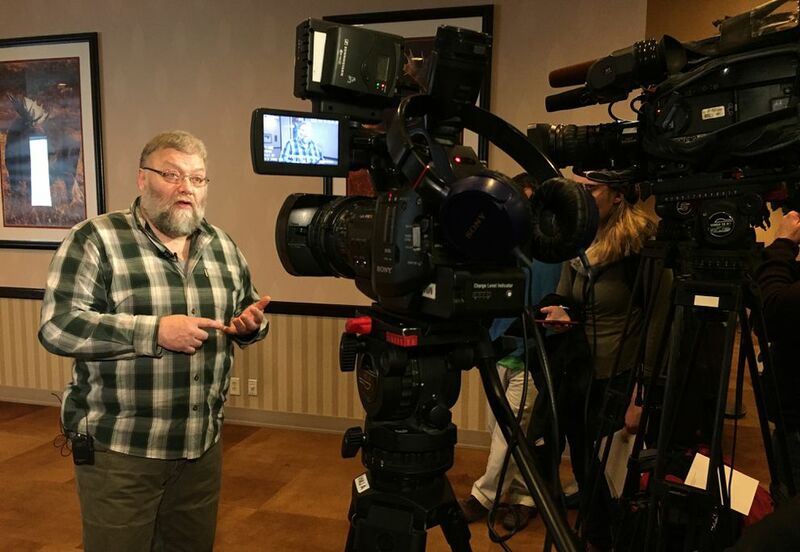 "It's a different event, but it's still the Iditarod," said Race Marshal Mark Nordman at a press conference Friday after the vote. "It's still a world-class dog race with the best mushers in the world." Nordman said that while dozens of inches of snow dumped on Anchorage this winter, stretches of the Iditarod trail in the Alaska Range didn't fair as well, and were marked by sparse snow and dense brush. "We're just not feeling that it's safe enough to run a competitive dog race over," he said. Nordman said Iditarod officials flew over the trail multiple times in the past week and spent the last two months "trying to figure out a way to get over the Alaska Range." But by Friday, he said they remained concerned about three or four sections of the trail in the areas surrounding the Rainy Pass checkpoint, located about 150 miles from the traditional Willow restart. Those areas included a glaciated area on the way into the checkpoint that he said was "only getting worse," as well as low snow and brush in the area on the way out. "We're going through some major changes with the environment," he said. "We have more willow and brush than we've seen in years." The Iditarod Trail Committee had warned in a statement earlier this month that the perilous Dalzell Gorge outside of Rainy Pass had received inadequate snow, and Nordman said Friday that the notorious stretch also included too many spots of open water and unsafe snow-and-ice bridges. While he said he could possibly get a sled dog team through an alternate route, up Ptarmigan Valley, he said the mountainous weather conditions change quickly, and the board did not want to take chances given the other trail issues. Nordman described Friday's executive session as somber and said the decision to move north was not easy, noting both the financial and cultural loss villages feel when the Iditarod does not travel through their communities. "I, personally, and the Iditarod Trail Committee have so many friends out in those villages and no matter what I say, it isn't going to make that pain go away," Nordman said. 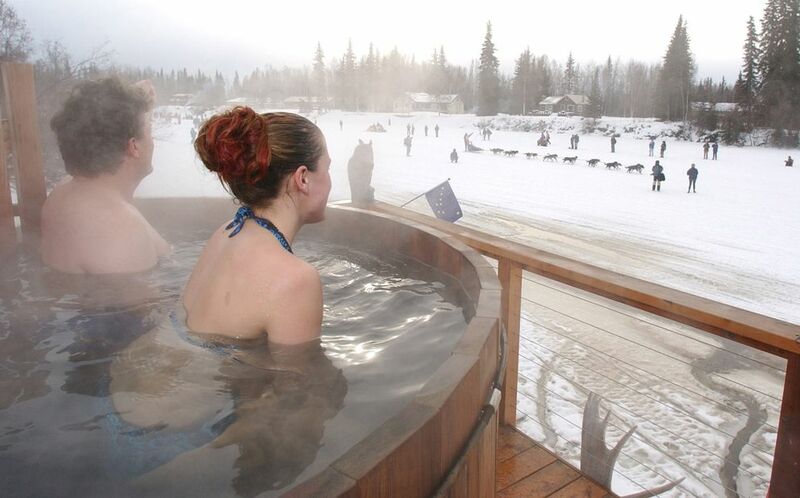 The Iditarod restart has taken place twice before in Fairbanks, in 2003 and 2015. 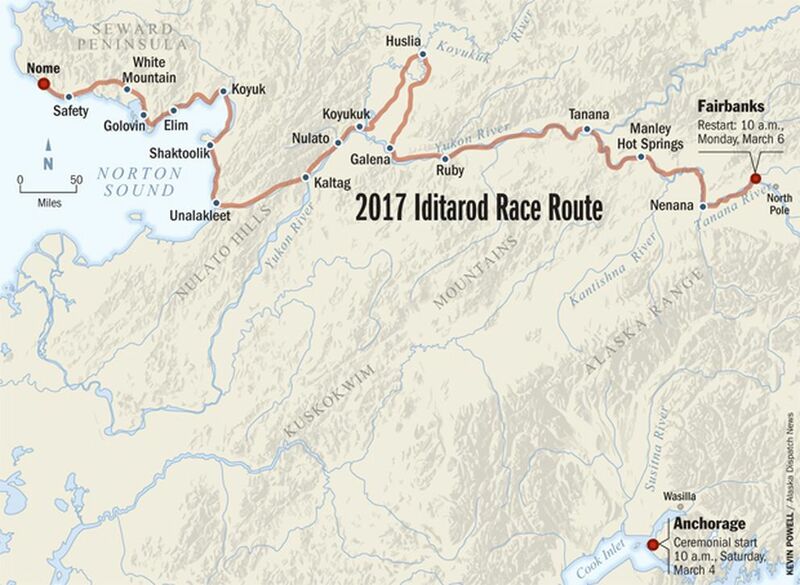 The 2017 Iditarod will reprise the 2015 route from Fairbanks, through communities including Tanana, Koyukuk and Huslia, home of the late mushing legend George Attla. The change delivers a flatter trail to Nome, though the last time mushers started in Fairbanks, the weather turned brutally cold.